Majestic is now available in 9 languages. You can choose your language from the top right hand corner of the main website, or you can bookmark the subdomain of your choice. Or just click on the language you want below. Please Tweet / Facebook / Orkut / Tell people in your language! We are pleased with our translations and hope you will not find too many glaring errors. If you do, please tell us, but if you do speak another language and you can reach out locally, we would greatly appreciate you passing on this message – because there is only so much we can do. We will, in due course, set up a system to default you to your language preference. There are several ways to do this technically – and I am sure many of our customers would have their own view. I do not think this final part of the puzzle will take too long. If you ever need to translate your site into multiple languages, we’d like to say thank you to Webcertain.com for their work on this. I’d link to them – but someone might suggest it was some kind of back-hand deal. There isn’t. We chose the company we felt was best able to handle the task. We have had at least two professional translators look at every word in each language. I’m sure it is not all perfect – but please feel free to use the feedback button on every page if you spot something we missed. On top of the two (or more) professional translators per language, we also would like to thank our ambassadors for their help – especially in defining local variations of SEO and industry specific keywords which no translator would know unless they were in the industry. Translating a website which has huge amount of dynamic data and a fearsome development cycle is an incredible challenge for a small team. Before we could even start, we had to rebuild our entire site to be able to handle language files. Otherwise, functionality in each language would have been held back on every product launch with the translated versions continually playing catch up. Steve and the development team have not only built a way to handle translations – but have also enabled a process which means translation files can be worked on independent of the functionality development process. Ultimately – our choice of languages is down to our customer base in those countries. Without you, we would not have been able to make this investment. We hope you find Majestic easier to use in your own language. 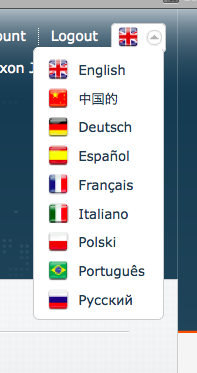 We decided not to try and translate every blog post into all 9 languages. Instead – as we develop – we will produce blog posts in languages where they are relevant. At this point, the blog is available in English,. French and German. Great that you have added Polish language, you are very popular among SEO people here in Poland. Good job! We’ll concentrate on managing what we have for now and see how it goes. Ultimately, the data will decide this for us. W końcu można kupić majesticseo w języku polskim. Super. Hey, on the screenie, you got Chinese wrong. What you have there says belonging to China. 🙂 it should be 中文(简体). I cannot see 简体 on the home page? Please can you use the “Feedback” button (反馈) for these suggestions, so we can properly link the suggestions to the correct pages?